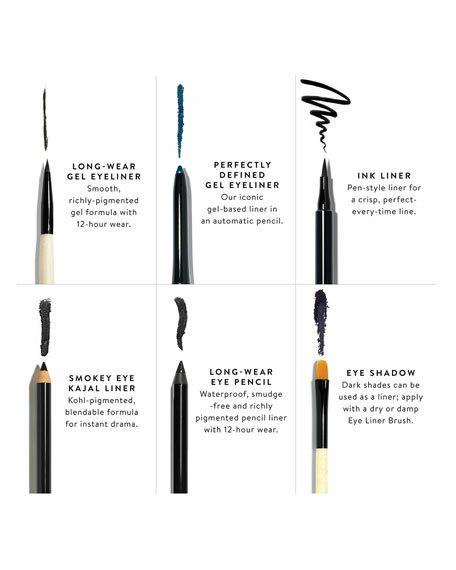 What is it: Make your eyes stand out all season long with Perfectly Defined Long-Wear Gel Eyeliner. This unique gel-based pencil delivers richly pigmented color and precision lining with sweat and humidity-resistant 12-hour wear. The best part? A twist-up design lets you apply on the go, while a built-in sharpener ensures the most precise application every time. Why is it different: The perfect combination of waxes and emollients imparts intense, supersaturated color that doesn't flake and stays color true all day - for up to 12 hours of water-resistant wear. Plus, its silky-soft and creamy texture gives it a lightweight, comfortable feel without tugging or pulling. 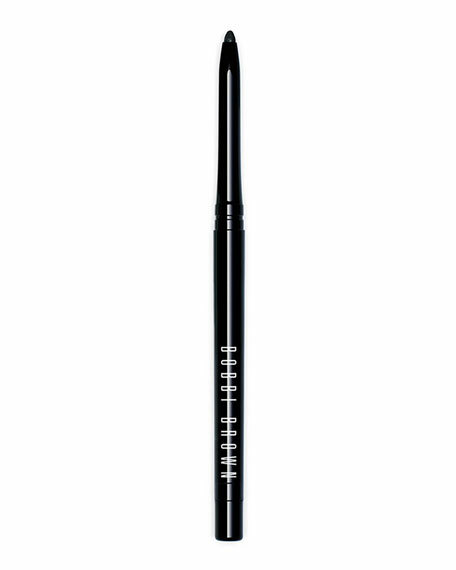 How do I use it: Apply as close to the lash line as possible and line the entire length of the lid. To sharpen, remove the cap with built-in sharpener at the end of the pencil and use to sharpen tip as needed. For in-store inquiries, use sku #1636143.